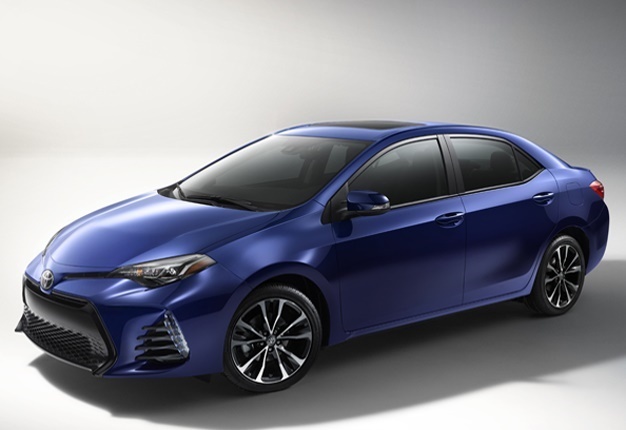 Cape Town - Earlier in March, Wheels24 reported that Toyota's refreshed Corolla will reach our shores in 2017. The updated model coincides with a major event in Toyota’s history - the Corolla’s 50th Anniversary. In November 1966, the first Corolla was sold in Japan and the rest as they say is automotive history. Shortly after its launch in Japan, the Corolla was exported globally markets and from 1965 to 1968, Toyota’s sales figures leaped from 480 000 to 1.1 million. Over the past five decades, the Corolla has cemented its place as the world’s best-selling vehicle with more than 43 million units. The broader public found the Corolla to be their car of choice. In South Africa, the Corolla remains one of the most sold vehicles. Even celebrities have fond memories of Toyota's most popular model. Actress Gina Rodrigues, from Jane the Virgin fame, remembers fondly how she drove her Corolla halfway across America to Hollywood to follow her dreams. She said: "I'll always have a special place in my heart for my Corolla that helped me move from New York to Los Angeles. My Corolla meant so much to me because it held all the memories of my struggle and taught me strength early on." To celebrate its sedan's special milestone, Toyota is running a campaign where fans can upload images, videos and memories of the Corolla. Simply use the handle #Corolla50 and share your memories.